Built in 1914 on a design by Brandon architect W. H. Shillinglaw, Fleming School was named for the city’s first physician, Alexander Fleming. Initially consisting of six classrooms, the brick structure underwent two major renovations. In 1953, an 8,875-square-foot, one storey addition was made on its south side. Nine years later, a 5,395-square-foot, two storey addition was built on the west side. This second addition included a gymnasium. The school closed in June 2005 and, as of late 2006, the building was used as a high school by the Sioux Valley Dakota Nation. The building was sold to the band in December 2010. GR8461, A0233, C131-3, page 134. “Have full staff of teachers for public schools,” Brandon Daily Sun, 1 September 1923, page 1. “Artifacts, pictures attract attention at Fleming school anniversary tea”, Brandon Sun, 2 November 1974, page 10. 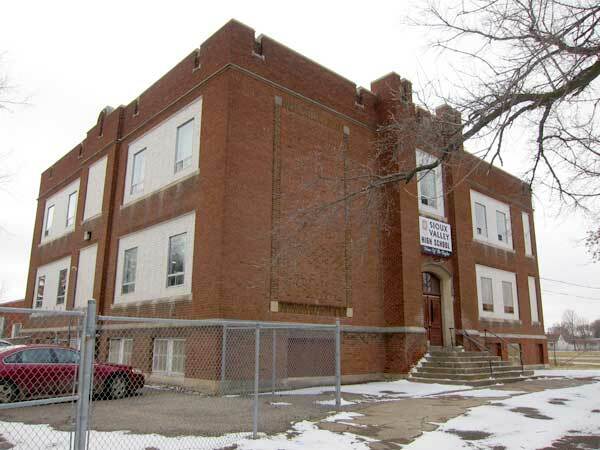 “Fleming School, land up for sale”, Brandon Sun, 10 August 2005, page A3. 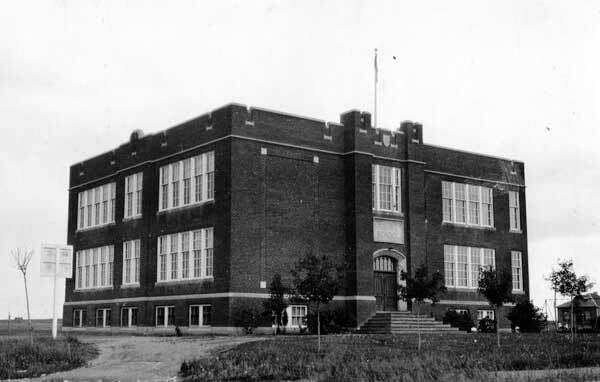 History of Brandon School Division - Fleming School, Brandon School Division. We thank Greg Sigurdson for providing additional information used here.